Apply to take part in an amazing and exciting opportunity to learn from over 30 broadcasting professionals. The Missouri Broadcasters Association Radio Talent Institute will be held July 29-August 7, 2019. What is the Missouri Broadcasters Association Radio Talent Institute? The National Radio Talent System is the only program of its kind in the world. It’s a system of Radio Talent Institutes on college campuses across America, each connected to the National Radio Talent System, to discover, coach and nurture entry-level talent for the industry. The MBA Radio Talent Institute is an intense 10-day program held on the campus of Northwest Missouri State University in Maryville, Missouri. The National Radio Talent System brings over 30 radio professionals to the MBA Radio Talent Institute to teach all the sessions. Attendees will learn from the radio professionals who are already successful in the broadcast industry. Only broadcast professionals from almost every aspect of the radio industry lead the sessions…on-air, sales, interactive, sports, news, production, management, marketing, programming, etc. Over the 10-day Institute, students will personally meet, mingle with and network with 30-40 broadcasters. It could take years to meet and build relationships with this many broadcasters! 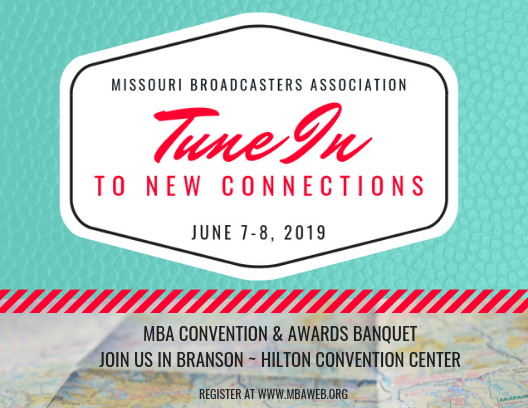 After completion of the MBA Radio Talent Institute, attendees are highlighted to broadcasters regionally and throughout the state of Missouri on the website. Students who complete the Institute have a substantially higher rate of post-graduate placement to start their careers. Many Institute students attain internships through broadcasters they meet during the 10 days as well as get their first jobs to start their careers. We often get the question, “Can I do an internship and the MBA Radio Talent Institute over the same summer”? The answer is “yes”. You don’t have to choose one or the other. To date, every radio station has allowed their interns to break away from the internship for ten days to participate in Radio Talent Institutes. All college, graduate students, and recent graduates are welcomed and accepted from all universities in the state and region. A total of 25 students are accepted on a rolling acceptance, so the earlier one applies the better their chance for enrollment. The MBA Radio Talent Institute will build on the education students are receiving at their home campus by bridging the campus-to-career gap that exists for most college students, and is done in a way that is un-replicated. The National Radio Talent System provides a “Certificate of Completion” from the MBA Radio Talent Institute and a “Radio Marketing Professional” certification from the Radio Advertising Bureau. The cost is only $385 which includes a meal card for lunch to use during the 10 days. Housing, if needed, is available on campus for $14 per night/double occupancy or $17 per night/single occupancy. To apply, go to http://MBA.NationalRadioTalentSystem.com. Radio Stations and College and Universities: please contact Terry Harper at the MBA office to receive promotional material including PSAs and Posters.